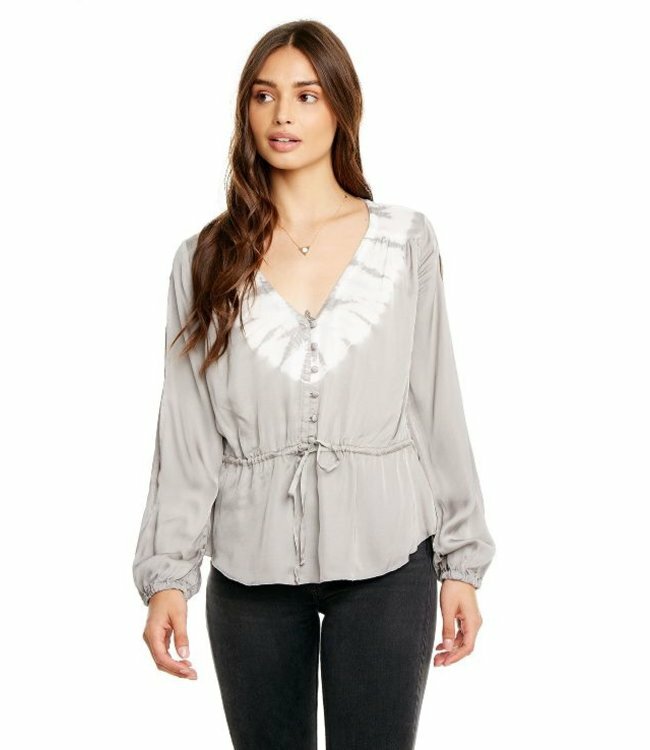 Chaser Silky Slit Sleeve Button Down Peplum-Tie Dye - Refinery Clothing Co. The silky basics are all the perfects. You can't get enough of the soft feel and the ease of this peplum button down with slit blouson sleeves and a tie waist.